The CCIFG membership directory includes the a vast majority of French companies located in Ghana, as well as many Ghanaian and Multinational companies whose activities are related to Ghana & France. As a member of the CCIFG, benefit from the Privilege Card benefits (discounted hotel rates, car rental services, shops, translation services, etc.) in Ghana, in France and in 58 countries abroad. The CCIFG's main objective is to facilitate interaction between member companies and non-member companies in order to identify opportunities to work together. Our primary objective is to give life to the Franco-Ghanaian business community, in addition to supporting French or Ghanaian companies in their international development. Why join the Chamber ? Be advised and accompanied in your development ! Joining the French Chamber of Commerce and Industry in Ghana is joining a business community of more than 130 French and Ghanaian companies, as well accessing our international network. 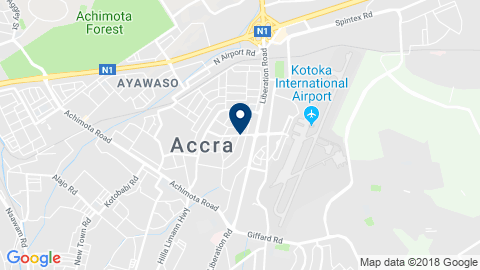 At the end of March, Servair opened the doors of the "CORNER BAR" in Accra Airport, Ghana. The Chamber of Commerce and Industry France Ghana (CCIFG) organised a conference on CSR Policies for businesses.